The United States has consistently run a trade deficit since the 1980s. In 2013, the trade deficit averaged a staggering $40 billion per month. While much of this deficit has to do with oil imports (which will be offset in coming years), the nature of the U.S. trade deficit is astounding. The nations with whom the United States runs trade deficits, and in which products it runs them, defeats common sense and makes one severely question what, if any, trade strategy the United States is pursuing. Take the United States’ trade relations with Mexico. Although the United States has a highly developed economy at the forefront of industrialized nations, America ran an almost $64 billion trade deficit with Mexico in 2012, and has consistently run a trade deficit with Mexico since 1995. Looking closer is even more eye-opening. The three most-imported products from Mexico include electrical equipment, vehicles, and machinery. While our most-exported products to Mexico include machinery, electrical equipment, and mineral fuels – with vehicles in fourth – the U.S. still runs a deficit in every one of those products. The value of vehicles exported to the U.S. from Mexico ($54 billion) is more than double what the United States sends in vehicles to Mexico ($20 billion). Of America’s 15 largest trading partners, the United States runs a trade deficit with all but two. Even if you remove states from which America’s trade deficit is skewed by oil imports (Canada, Saudi Arabia, Venezuela), the vast majority of trading partners enjoy a trade surplus in their relationship with the United States. Overall, America runs trade deficits in peculiar industries such as machinery, electrical equipment, mineral fuels, vehicles (excluding rail), pharmaceutical products, and steel. In fact, some of the few heavy industries in which the United States runs surpluses are in aircraft and plastics. Heavily industrialized and mature economies like that of the United States should be successful in the export of heavy manufactured items like those stated above. While competition with other industrialized nations like Germany is understandable, large trade deficits in manufactured products with economies much less-developed than America’s is perplexing, at best. 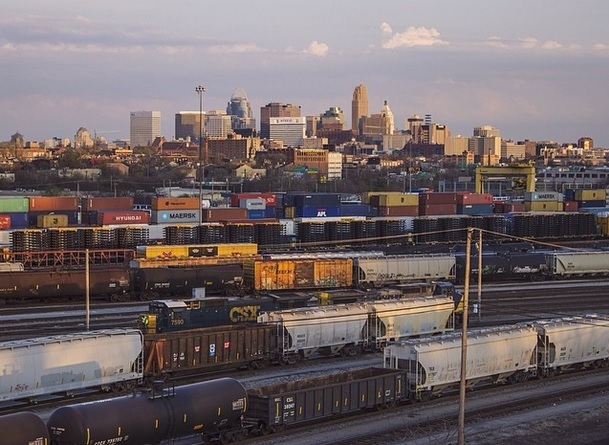 For cities with a history and a base in heavy manufacturing, like Chicago, Cincinnati and St. Louis, policies like these only continue to chip away at the economic health of large sectors of these urban areas. While it is imperative for industrial cities like these to diversify, unnecessary degradation of well-paying, already-established industries is detrimental to the creation of metropolitan economies steeped not only in new-age tech industries but also in a healthy industrial sector.